Thexyz provides users with email, domain, and web hosting solutions. 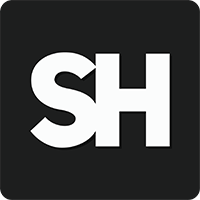 Their ad-free email app comes with full mobile synchronization and features two-factor password authentication, email aliases, email filtering, spam protection, and more. In this article, we cover user reviews and pricing. Ready to get started with Thexyz? Contact their support team for more information. 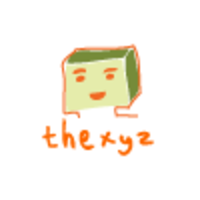 Users who gave Thexyz a positive review like its accurate spam filtering tool and that it doesn’t show any ads. Several others mentioned that its pricing plans are cost-effective. One user who left a positive review on HostAdvice said that she had given up using Outlook after having switched to Thexyz’s webmail and even described it as a very helpful and fast email app. She also loves that there are no ads taking over the screen whenever she checks her emails. As of the date this article was written (11/28/18), there are not a lot of up-to-date negative Thexyz reviews online. However, some users commented that the platform looks a bit outdated and that there is a learning curve when using its control panel. One user who left a negative review of Thexyz on G2 Crowd stated that navigating through its admin panel may be challenging for beginners. He shared that he is still learning how to use its features as he has continued to discover new functionalities within its control panel. Thexyz offers three plans: Premium Webmail ($1.95/month), Mobile Sync + Cloud Drive ($4.95/month), and Microsoft Exchange ($14.95/month). They also offer lower rates for users who sign up for an annual plan. The main differences between the plans are the mail storage and other features such as mobile calendar and contacts synchronization. *Annual plans are paid in lump sum at the beginning of the billing cycle. Ready to get started with Thexyz? Contact their support team for more information. 6 Best Email Tracking Software for 2018 — Email tracking software monitors email open rates, link clicks, and message delivery of sent email. It is also used for managing email campaigns or as a customer relationship management (CRM) tool. In this guide, we evaluated more than 25 different email trackers and narrowed them down to the six best, comparing them on ease of use, system integrations, price, and functionality. Is there a limit for email attachments? Yes. Thexyz’s email hosting plans come with a 50MB limit for attachments. Does Thexyz assist new users in migrating their existing mail from Gmail, Yahoo!, and other providers? Yes, they offer a fully managed email migration service for a one-time fee of $9.95. Interested users may get in touch with Thexyz’s sales team to request for more information. Not sure if Thexyz is the right fit for you? Read our reviews of all top email tracking software providers or check out one of these three Thexyz competitors.